Is your train spying on you? Is your train spying on you? It might be if you live in the San Francisco area, where a consumer has sued the Bay Area Rapid Transit District, claiming it provides a smartphone app that tracks passengers' identities and movements. Pamela Moreno alleges that the BART Watch app collects users' personal information from their smartphones and then tracks their location and movements, all without user consent, Courthouse News Service reported. 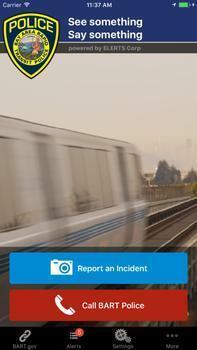 BART encourages passengers to download the app and use it to anonymously report crimes in progress, but Moreno's suit claims it does much more than that. Moreno's suit says the app, manufactured by Elerts Corp., is similar to the Stingray cell phone tracker, widely used by police agencies. The Stingray mimics cell towers and forces cellphones within range to disclose their numeric identifiers. The Stingray doesn't capture any personal information, but Moreno claims that the BART app captures the cell phone numeric identifier and the users' personal information, then links them together, allowing BART to identify passengers and track their movements. BART denies Moreno's allegations and says the app reveals a passenger's location only when the passenger is using it to report a crime in progress. “The safety and privacy of our riders are a priority and we want to make clear we are not using ELERTS system for any other purpose than responding to security and safety reports made by our riders,” a spokeswoman told Courthouse News. But BART does not tell users that it has their cyber "fingerprint" and misleads them into thinking they can report a crime anonymously, Moreno's suit argues. “[S]hould a transit user submit an ‘anonymous’ tip, defendants still collect and transmit to their servers identifying information. As such, these reports are not anonymous at all,” the complaint states.